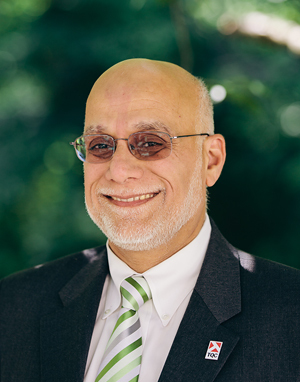 Haseeb Ahson established TechniQuest Corporation (TQC) in 1995 and serves as President and CEO of the firm, headquartered in New Jersey with offices in New York and Pennsylvania. Applying his vision, commitment, and focus, TQC has grown to provide Traffic Engineering, Transportation Planning (including Traffic Data Collection), Civil Design, Construction Inspection, Project Scheduling and GIS services. Mr. Ahson is a graduate of the University of Utah, earning a Masters of Engineering with more than 30 years of diversified experience in traffic engineering, transportation planning and construction management. He plays a lead role with the business development, client management and strategic planning of the firm. Prior to starting TQC, Mr. Ahson was a Senior Project Manager for nearly two decades with Jacobs Engineering Group, a world renowned engineering firm. Mr. Ahson has served as the Principal-in-Charge on a wide range of projects for the firm. These projects include overseeing his group that successfully delivered traffic engineering modelling for the Helix (entrance to Lincoln Tunnel), the transportation planning and data collection for the nation’s busiest bus terminal at Port Authority in midtown Manhattan, and a traffic monitoring study for the Pulaski Skyway Bridge in Jersey City. In addition, Mr. Ahson is overseeing the construction inspection for the 2-mile long Route 72 – Manahawkin Bay Bridge and Routes I-295 / 42 / I-76 Direct Connect projects. As a firm that has earned the reputation for providing an experienced and seasoned team with preeminent credentials for project delivery, TQC continues to secure multi-million dollar assignments represented with recent projects such as, Routes 35/36 Widening/Improvements in Eatontown, the Route 18 Extension in Piscataway, and the Chimney Rock Road Interchange on Route 22 in Bridgewater, NJ.